Get tips for moving beyond your nerves. Any time we are working with horses there is the possibility that things could go sideways, and someone could get injured. 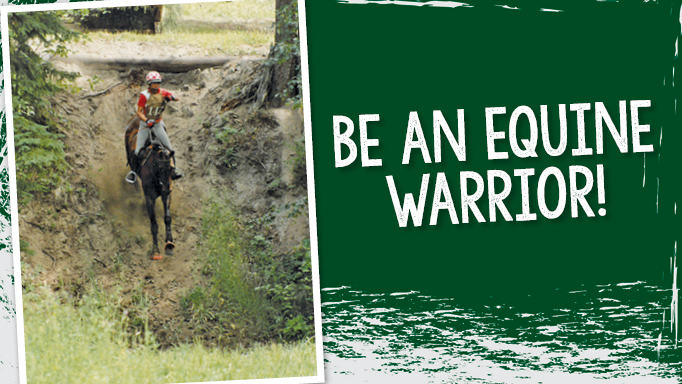 It’s a fact that every equestrian must accept. However, just because we accept it doesn’t mean we stop worrying about it. To understand why this is, we first need to understand the fear response in humans. Fear is an inborn response to a perceived danger. Our bodies were designed to keep us safe from large predators, like tigers and bears. When we perceive danger in our environment, we get one of three responses: fight, flight or freeze. As riders, we are very familiar with the first two because our horses also have these responses when they perceive a threat. The freeze response is more complicated, but you can think of it like this: if you were in a situation and you could not run away (flight) or fight your way out, then you might try to hide like small prey animals do. They freeze to make themselves invisible to predators. Our bodies also freeze sometimes because our brains are wired for survival. We are not conscious of any of these responses at the time because they are automatic. If they weren’t, we wouldn’t have survived all these years! That all makes sense if we were still living in caveman days, but what about now? Well, unfortunately, our brains don’t know the difference and they experience any kind of danger as a potential threat. 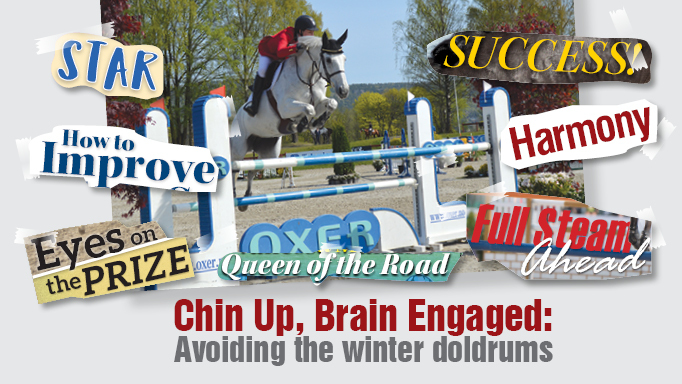 When you are feeling nervous on your horse, you are really feeling anxiety about the possibility of future danger. It’s an imagined danger, but the brain responds the same way as it would to a real danger. Mindfulness is the skill of being able to observe your own thoughts from a distance. 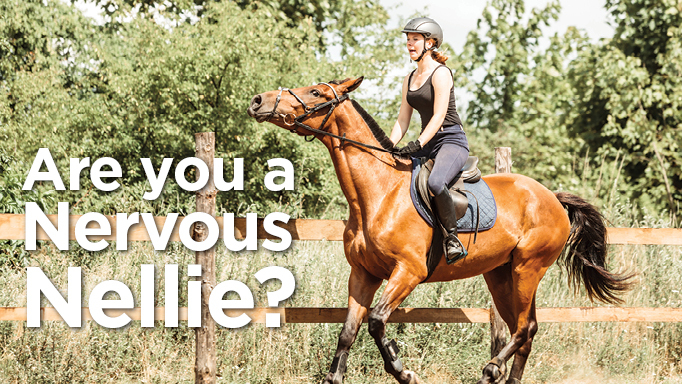 It is also the skill of being fully present in the moment and experiencing it as it is without adding any thoughts to it, such as “What if my horse spooks?” Practicing mindfulness can help us manage anxious thoughts. Focusing on your real-life experience in a mindful way stops the imagined thoughts that drive the fight, flight, freeze response. By the time you have finished, you should feel more grounded and less wrapped up in your anxious, worried thoughts. If not, do it again and name different things. This exercise can be very helpful in managing mild to moderate anxiety. If you combine it with a daily mindfulness practice it will work even better. 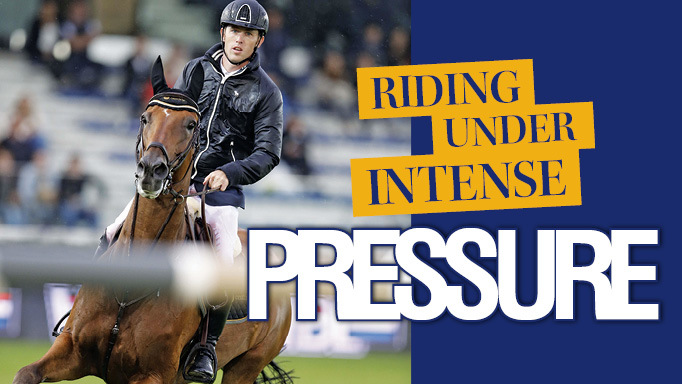 If you find that you just can’t calm down in the saddle, you may be experiencing more than just nervousness and may benefit from working with a counsellor on your fear in a more targeted way. Some practical tips for putting everything in perspective to perform your best. 7 Strategies for becoming a mentally tough rider. 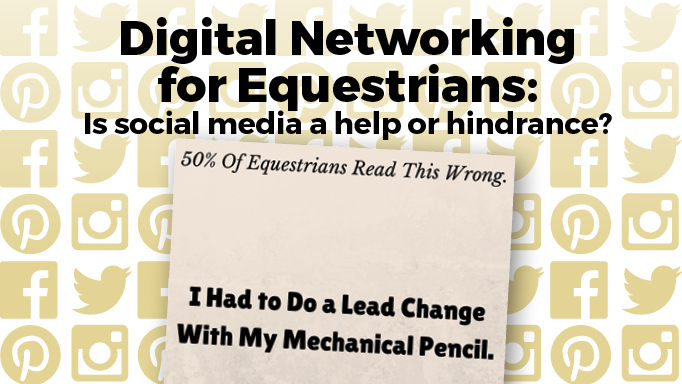 Is Social Media a Help or Hindrance for Equestrians? Social media at the horse show.